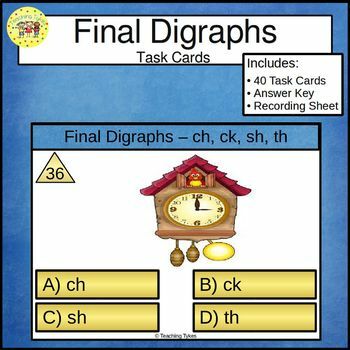 40 Digraphs Task cards for final digraphs ch, ck, sh, and th. 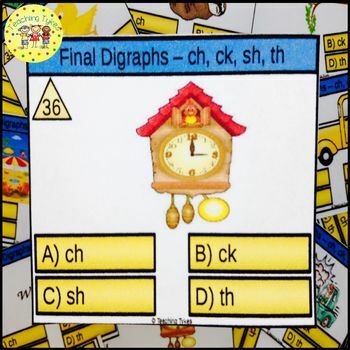 Each card has a picture and digraph answer choices. 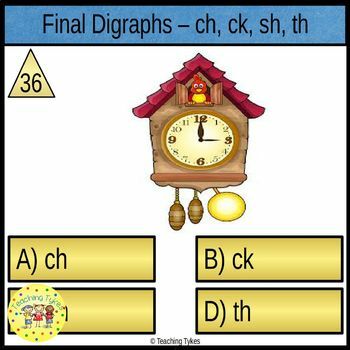 Students choose the correct digraph answer choice. 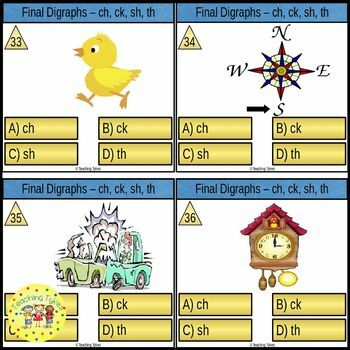 ★ You may be interested in Initial Digraphs Task Cards.